GRAFENWOEHR, Germany — The “Buchbinder Legionäre,” right now one of the biggest baseball organizations in Germany, have played at the Armin-Wolf-Baseball-Arena in Regensburg since 1998. The arena is located in the east part of Regensburg and has a capacity of 2,500 spectators. They hosted the 2009 Baseball Word Cup and the German qualifying round of the 2013 World Baseball Classic. “We are always applying for international events,” said Tobias Dietrich, a public affairs representative from the Legionäre. Right now the Buchbinder Legionäre have 27 teams playing baseball and softball. “We are playing at Bundesliga level (1. Liga), which is the highest competition level in Germany. One of our former players, Max Kepler, student from the Regensburg Private Sports School, is now playing for the Minnesota Twins of Major League Baseball,” said Dietrich. 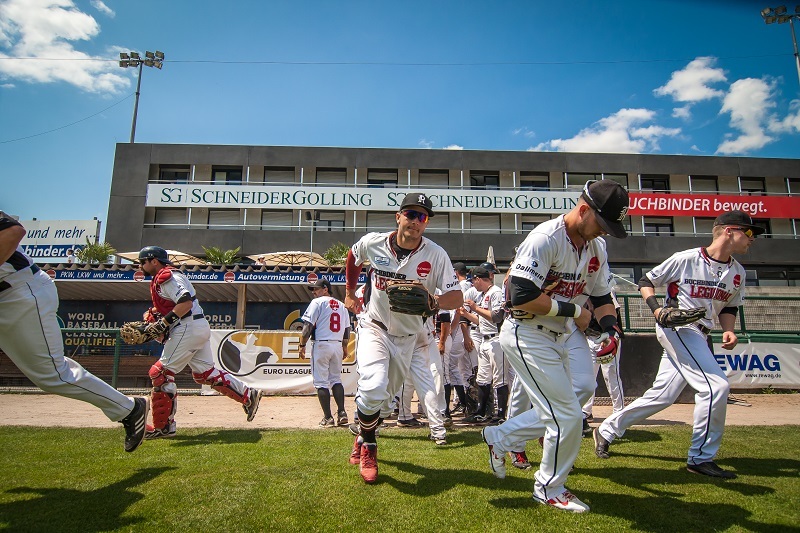 “Baseball brings American flair to Regensburg and we invite everybody to come to our games, to enjoy the friendly atmosphere and feel comfortable,” said Dietrich. Time schedules for games and events can be found on their web site www.legionaere.de. Tickets are available at the ticket shop on their web page or directly at the line box office at the arena.